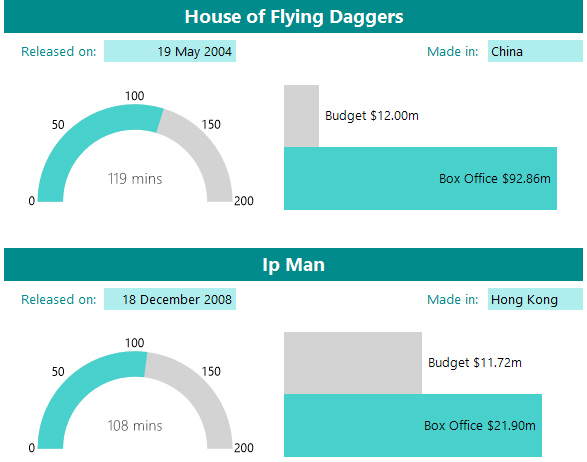 Select these fields from the Film and Country tables. Ad a couple of text boxes to label the fields too. Use a different type of gauge if you prefer. Add each field to the Values area of the Chart Data pane. Uncheck this box on the Horizontal Axis Properties dialog box. Feel free to improve on this formatting.